School's out! 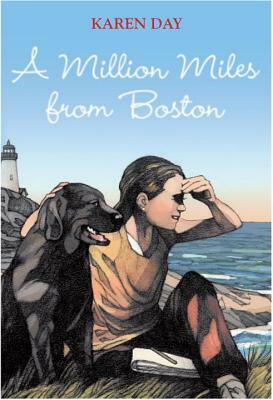 That means Lucy is off to her favorite place: Pierson Point, Maine, where she spends summers with her family. And as she tries to forget her worries about starting middle school and about Dad's new girlfriend, Lucy can't get there soon enough. Pierson Point is where she feels most like herself, and where memories of her mother, who died when Lucy was six, are strong and sacred. But this summer, nothing is the same. Ian, a boy from home in Boston, comes to Pierson Point with his family. Ian is loud, popular, and mean. He and Lucy can't stand each other. To top it off, Dad wants his girlfriend to become a bigger part of Lucy's life. Karen Day's engaging novel shows that people aren't always what they seem, and that friendship can be found in the most unusual places. Karen Day is the author of Tall Tales and No Cream Puffs. She grew up in Indiana and now lives in Newton, Massachusetts, with her husband and three children. Her love of reading, writing, and literature has taken her through careers in journalism and teaching. You can visit Karen at her Web site, KLDay.com. "Day delivers a well-paced, realistic 'summer of change' story." "Day captures childhood’s pain and hope deftly in this satisfying tale." "There’s a solid, old-school feel to the story...and a gentleness to the timeless world of summer vacations, where kids pelt around together under minimal adult supervision...A classic summer-growth story." "Day has written a great book that deals with a variety of believable interpersonal relationships and transitions...[Lucy's] grief is thoughtfully interwoven throughout the story."